THE popular Goroka Show, PNG’s biggest tourist-pulling event, will get even bigger and better this year, according to Eastern Highlands Farmers and Settlers Association (EHFSA) president Wilson Thompson. He said this last Thursday during the presentation of K20,000 from Bank South Pacific to Eastern Highlands Agriculture Society for the 2012 Goroka Show. 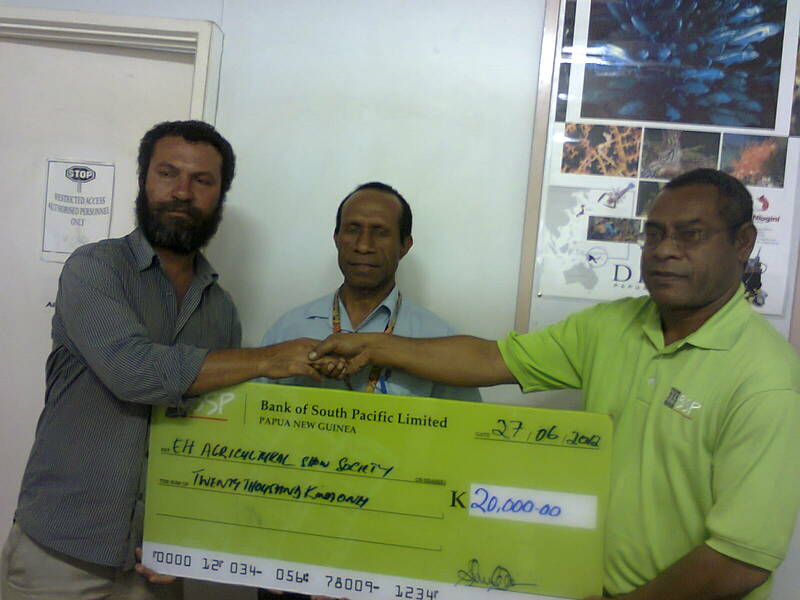 BSP Goroka branch manager Ruben Elizah and rural banking regional manager Joe Waim handed over the money to EHFSA and show executives. “All accommodation have already been booked out by tourists and others are even booking for 2013,” Thompson said. “I challenge Tourism Promotion Authority and National Cultural Commission to also assist in this premier event. Thompson said the first day of the show would be committed to agriculture and rural development, hence, it was fitting that BSP was now placing more emphasis on rural banking and financial services. Goroka Show chairman Gideon Samuel said National Gaming Control Board had sponsorship rights for the show, with BSP being the second major sponsor.